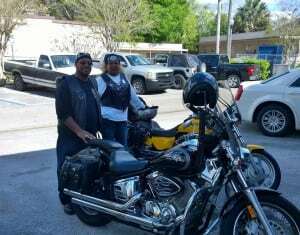 If you live in Florida and are looking to purchase motorcycle insurance, look no further than V.W. Gould Agency. Motorcycles are our passion. 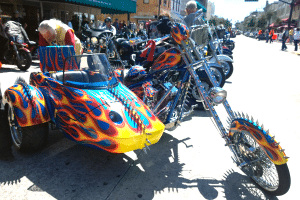 We are a Central Florida Insurance Agency located in DeLand, FL only a few miles from Daytona Beach, FL and Bike Week. We have been insuring motorcycles since the beginning. Call us today for a free quote at: 386-734-3970. Having been in insurance business since 1907, and seeing the motorcycle industry from the very first Daytona Bike Week to present day, we know motorcycle insurance. It is important to make sure that if anything happens to your motorcycle that it can be returned to its original state. No matter what type of motorcycle you ride we can customize a policy to your specific needs. Bodily injury and Property Damage Liability cover you in the event you are at fault for an accident that injures another person or damages someone’s property. Uninsured Motorist Coverage is for when the person at Fault for an accident doesn’t have enough insurance or even insurance at all. This will cover your injuries and damages that the at-fault is legally liable. Medical Payments covers the cost of medical care that you receive as the result of a motorcycle accident. This type of insurance coverage can be used regardless of who is at fault. Florida has some of the largest statistics in the country for motorcycle accidents. It is important that as a motorcycle owner in the state of Florida, you have proper insurance coverage when taking to the roads. Comprehensive and Collision is motorcycle Insurance coverage that pays to repair or even replace your motorcycle as a result of theft of damage due to an accident, regardless of who is at fault.